Undoubtably one of the brightest stars in Leeds’ rap scene & one of the finest MCs in the UK, Dialect is emerging with his new single ‘In My Zone’. After taking part in rap battles across the world, performances on Radio 1 Xtra, Lord Of The Mics, Don’t Flop, SBTV & Tim Westwood TV, and captaining a team for Red Bull’s “Grime-a-side” competition, Dialect has now directed his focus on the booth. As well as Dialect’s relentless scattergun delivery, ‘In My Zone’ also features Henna who provides the hook for the chorus with a silky smooth delivery, the perfect accompaniment to Dialect’s direct & intense flow. Speaking about the track, Henna explained “It’s a reminder of the hard work you put in on your work and life – even though it’s greatly appreciated that other’s help you, it’s important to pat yourself on the back and take a minute for yourself”. Dialect has performed at King Of The Dot, Canada’s premier rap battle league & is a team captain regular in Red Bull’s Rap Battle League with several Man Of The Match accolades awarded to him. Staying true to his name & West Yorkshire roots, Dialect delivers in his raw Leeds accent, staying real throughout. He’s not afraid of hard work, regularly taking to the streets of Leeds to busk, honing his flow. 2019 is set to see him rise further with ‘In My Zone’ leading a string of releases. 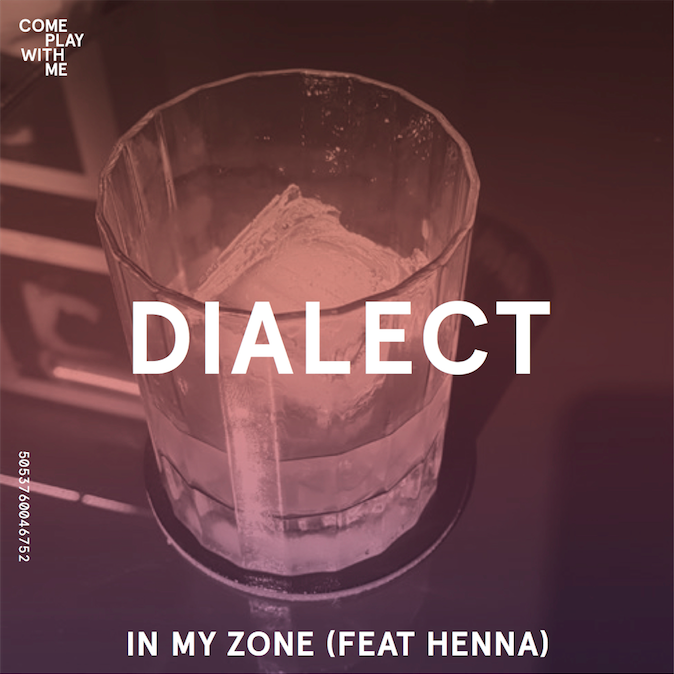 ‘In My Zone’ by Dialect (featuring Henna) is released on 7” vinyl via Leeds based record label Come Play With Me on the 5th April 2019. Limited signed copies of the vinyl can be ordered from www.cpwm.co. The track was recorded by Houdini with production by Blizzard. Dialect’s ‘In My Zone’ 7” single is backed on the other side by Talkboy’s ‘Wasting Time’, a fantastic slice of indie from a band who have been receiving rave reviews following early singles. COME PLAY WITH ME is a not-for-profit label based out of Leeds which looks to showcase the amazing talent coming from the region. It is best known for its series of split 7” releases that have included Cinerama (The Wedding Present), Team Picture, The Golden Age Of TV, Dead Naked Hippies, Treeboy & Arc, Katie Harkin, Marsicans & Magick Mountain.